Found on box of laptop USB heat reducer. Is this some kind of USB-powered pasta-making device? Behold the Holy Ascension of the Noodles! 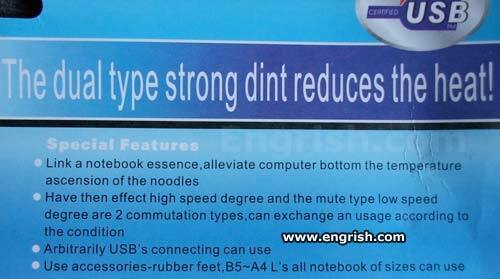 I visited a doctor in Shanghai who had a high speed degree in Notebook Essence. He diagnosed me with Computer Bottom, which is caused by sitting behind a computer for too long. To alleviate my problem, he prescribed noodle ascension. No dint helped – my rubber feet melted!! Computer bottom and hot noodles? I use baby powder for that.. I much prefer my ascension noodles al dinte. I tried temperature ascension of the noodles on rubber feet but it din’t work. Link A Notebook Essence :: Available at perfume counters in truck stops everywhere. Ah, yes, a strong dint! I am SO tired of weak dints! L’s all notebook isn’t sensing the usb connection. I knew these feet weren’t 100% rubber! And lo, the Spaghetti Monster looked down upon his creation, and it was good. That’s funny…. my noodles usually DEscend when the heat is on. There’s nothing as pleasing as a dual type strong dint on a hot summer day. I just don’t like the noodles that appear out of nowhere. I dint know it could do so much. Gotta git one! Verrily I behold the ascention of the holy noddles , for ever after to sit on the right hand of the almighty CPU. Via the almighty Universal serial bus, the Holy Ethernet, and Steve jobs the Father Almighty. So it is, and so it ahall be, for ever and ever AMEN. -hey cpu tech guy, why can’t i connect my nintendo to my computer? Unh Uh ! Oh no I dint ! I love the new rubber feet I got for my Ipad. Now I don’t have to carry it around because It follows me! Thanks certified USB. AH I get it, it reduce your notebook temperature by releasing heat to cook the noodle. it worked on any notebook and usb port. Ahh, I have to stand up and stretch to alleviate computer bottom. Finally! I can ascend my noodles WHILE I work on my spreadsheets, ARBITRARILY! Cyborg Noodle? Is that you?